We live in a new world of constant technological upgrades and their pervasive intrusions especially in trade and commerce. The new e-commerce world order continues to transform the way business interactions occur in dynamic, complex, and adaptive ways. This has opened up ways for new and sometimes less scrupulous dealings in the online marketplace. Key questions answered in the chapter include: what are the new guidelines and best practices that mitigate the risks for consumers and advertisers? What constitutes online deceptive behavior and internet fraud? What explanatory frameworks and concepts from the academic literature can we use to best inform us about safeguarding the erosion of consumer trust that occurs through fraudulent e-marketing? The chapter explores four Australian case studies (each featuring a nexus between e-marketing and fraudulent online transactions) in order to apply a new theoretical framework based on constructionism to the emerging problem of online scams. The main contribution is the application of the Theory of Reality Construction to e-marketing. This innovative perspective includes social, psychological and intellectual dimensions which may be useful to entrepreneurs, policy makers, students, practitioners, researchers, and educators who seek to gain a deeper appreciation of the darker side that exists in the new era of e-marketing. First of all, in this section we illustrate the pervasive use of the Internet in business and the emergence of new forms of marketing including online advertising and the impact of globalization. 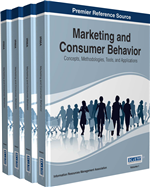 This section is further divided into three sections that report literature on ethics and the development of consumer rights aligned with best practice; second, the categorization of online fraudulent advertising and third, the importance of consumer trust in relation to online shopping problems.